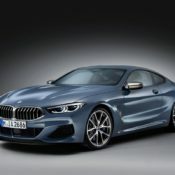 BMW has revealed the highly anticipated, all-new 2019 BMW 8 Series for the European market. 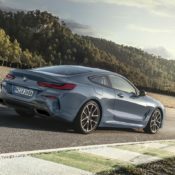 Set to go on sale in fall 2018, the new 8er, shown here in the EU-spec M850i model, appears to be a pretty much flawless GT Coupe, at least on paper. 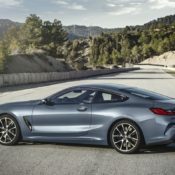 The first everyone talks about upon seeing the 2019 BMW 8 Series is how like the concept model it looks. That is a great thing, and it is going to be even better when they come up with the Gran Coupe version. If we were to nitpick though, we would have say the car looks rather bulky and heavy. Then again, it is a big, luxurious, super coupe. So that’s expected. BMW has taken measures to address the issue though, such as employing a carbon fiber roof and double bubble contours inspired by vintage racing cars. 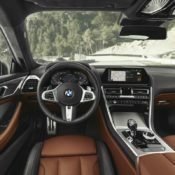 The interior of the 2019 BMW 8 Series breathes a fresh air into the unified looks of the BMW cabin we have come to know this past few years. The center console tilts ever so slightly towards the driver, and the whole arrangement of screen, vents, and switch-gear now has a more sporty flair to it. 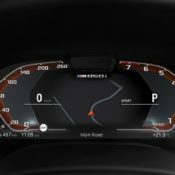 Besides the main infotainment screen, the 8 series get another one in the instrument binnacle with customizable graphics. 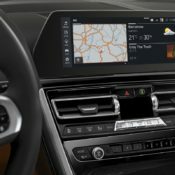 Of course, the usual assortment of Merino leather, fancy metallic trim, and tons of technology, comfort and connectivity features are all present and correct. 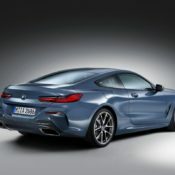 The M850i xDrive is the coolest version of the new 8 Series thanks to a superb engine. It’s the old 4.4-liter eight-cylinder bi-turbo engine, now revised and rejuvenated to make 523 horsepower and 553 lb-ft of torque. Thanks to some clever technologies, including some seriously fancy turbochargers, the engine makes that power while being very light on fuel. It even comes with an ECO mode. 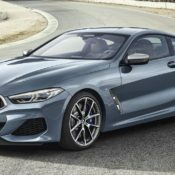 The M850i benefits from M-developed chassis, suspension, and steering system, as well as electronics, to ensure superb handling and performance. 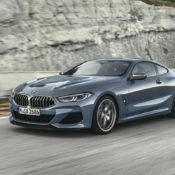 The post 2019 BMW 8 Series Goes Official with M850i Model appeared first on Motorward. Is BMW Design Finally On Track?